You probably agree with me that this is the best time of the year in South Florida! I hope you are enjoying this gorgeous weather as much as you can. Here is the schedule for this winter at the studio. 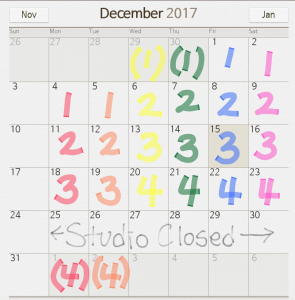 The studio will be closed from December 25th to 30th for winter break. 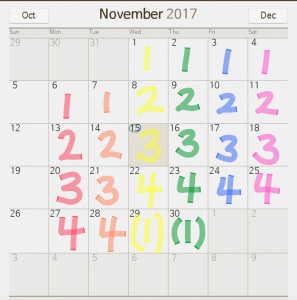 There will be four week classes each month of November and December of 2017, and January 2018. 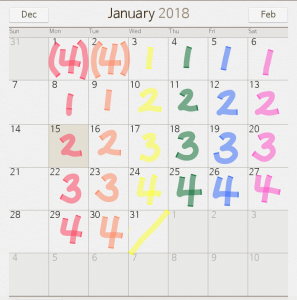 Take a look at the detailed schedule below and let me know if there is any comment or question. Have a wonderful winter!